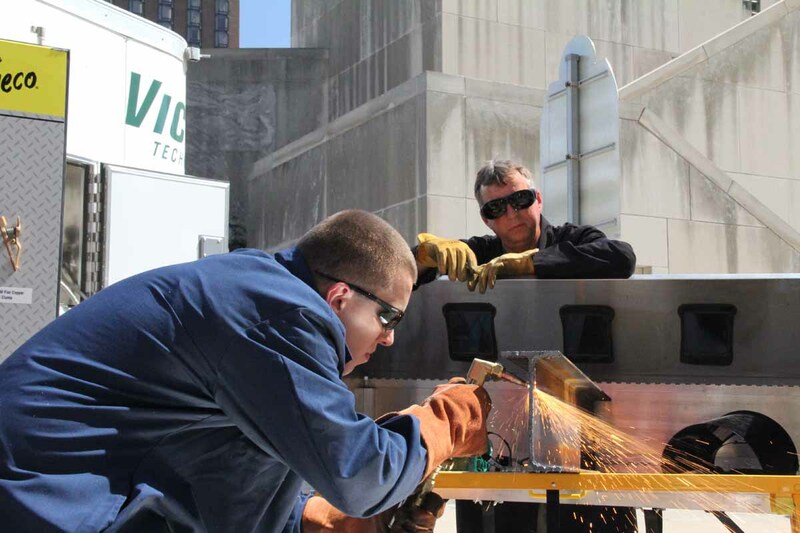 How fast can you cut an I-beam? 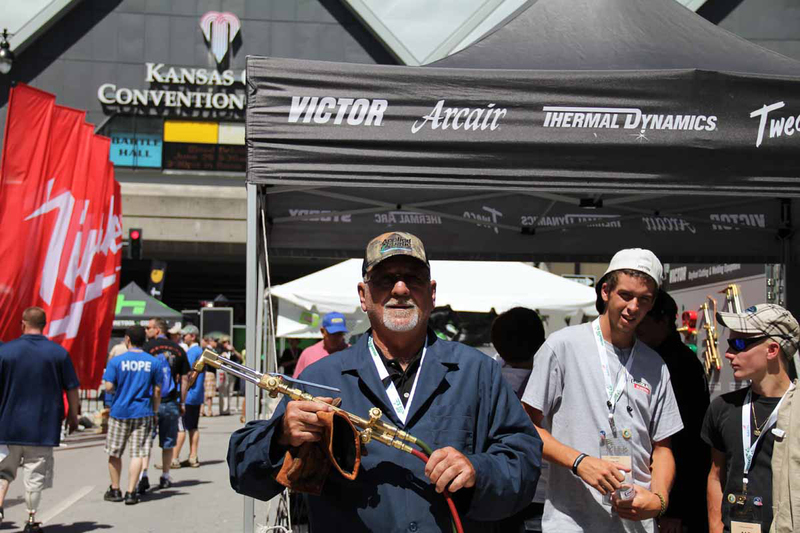 Watch as these instructors and students try their hand with a Victor Journeyman torch at the Victor Technologies display at SkillsUSA 2013. End-user-driven features include new contoured handle, three-tube cutting attachment design and color-coded and labeled valves knobs for clarity and enhanced safety. 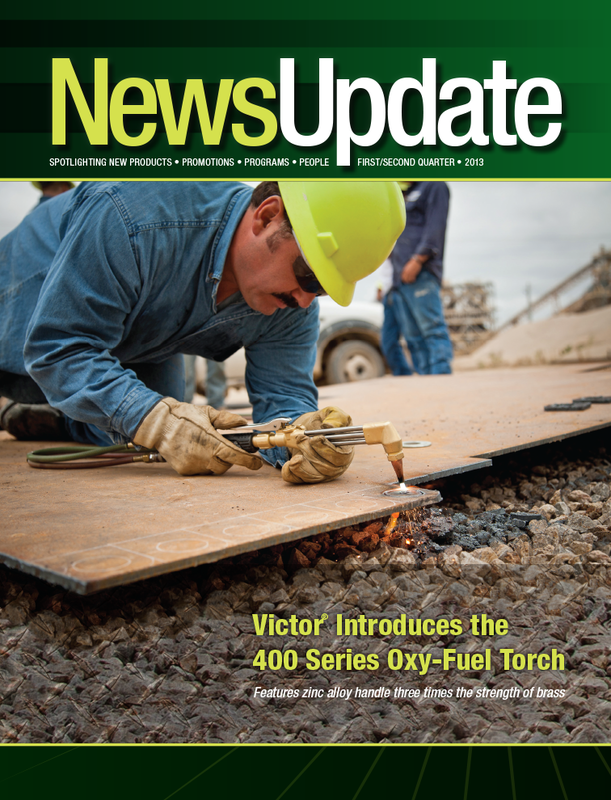 Victor® has launched its new 400 Series of oxy-fuel torches to meet the needs of end-users globally. The 400 Series is a two-piece torch that incorporates innovative handle and cutting attachment designs that offer better ergonomics, a clearer view of the cutting path, visual cues for easier use and enhanced safety. The 400 Series meets or exceeds performance and durability expectations of a Victor torch, the industry’s leading brand. 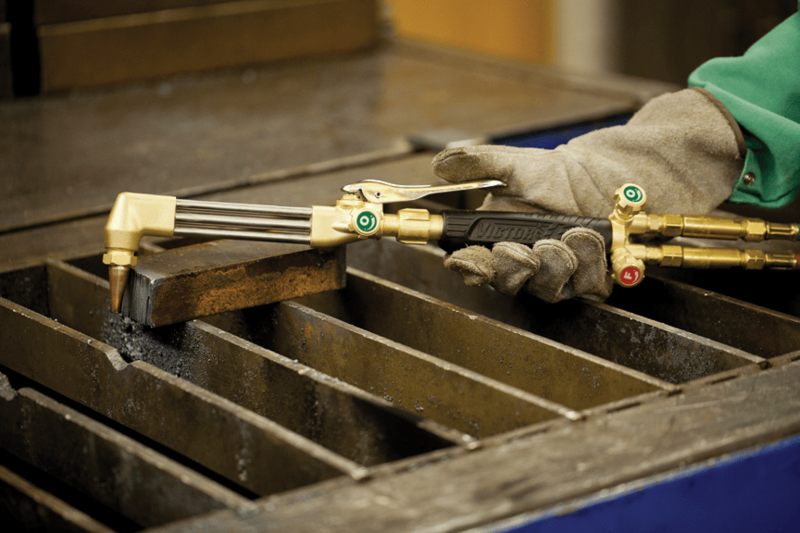 The 400 Series features a contoured,high-strength alloy torch handle that fits naturally in most operators’ hands. While lighter than a brass handle, the new handle better resists abuse, and it balances well when hoses and attachments are connected. 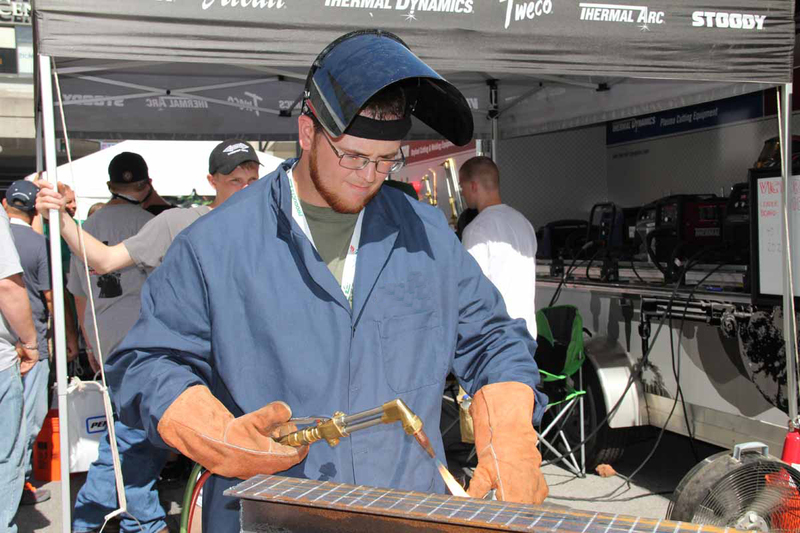 The durability of the torch handle also improves longevity in situations where tools receive rough treatment, a feature specifically requested by the supervisors interviewed during product development. To simplify use and increase precision, the 400 Series cutting attachment provides excellent line-of-sight visibility. Victor accomplished this by departing from its traditional tube-in-tube design to a sleeker three-tube design. The 400 Series uses a universal mixer design and mixes the gases in the head of the torch. 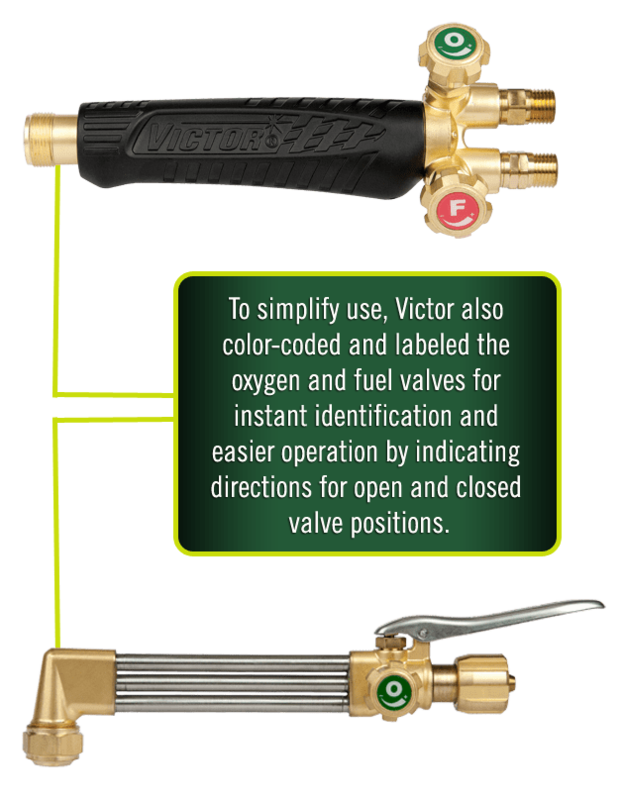 Like all Victor torches, it enables operators to use one torch for all fuels simply by selecting the correct tips or attachment. To find out more about the new Victor 400 Series torches, CLICK HERE. Victor® has launched its new 400 Seriesof oxy-fuel torches and G Series regulators to meet the needs of end-users globally. The 400 series is a two-piece torch that incorporates a patented handle design with an innovative cutting attachment for better ergonomics, a clearer view of the cutting path, visual cues for easier use and enhanced safety. 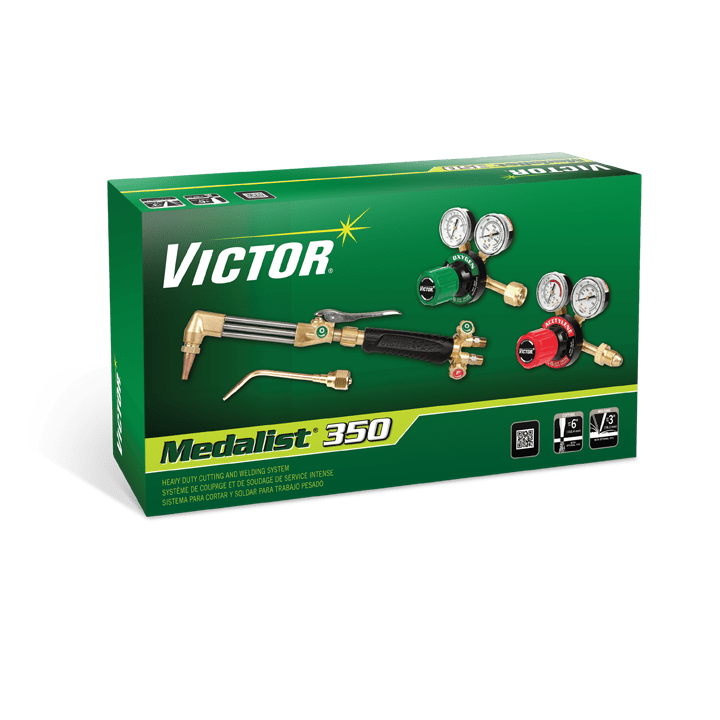 When sold as part of the Medalist® 250 and 350 outfits, Victor’s new G Series regulator accompanies the 400 Series torch. 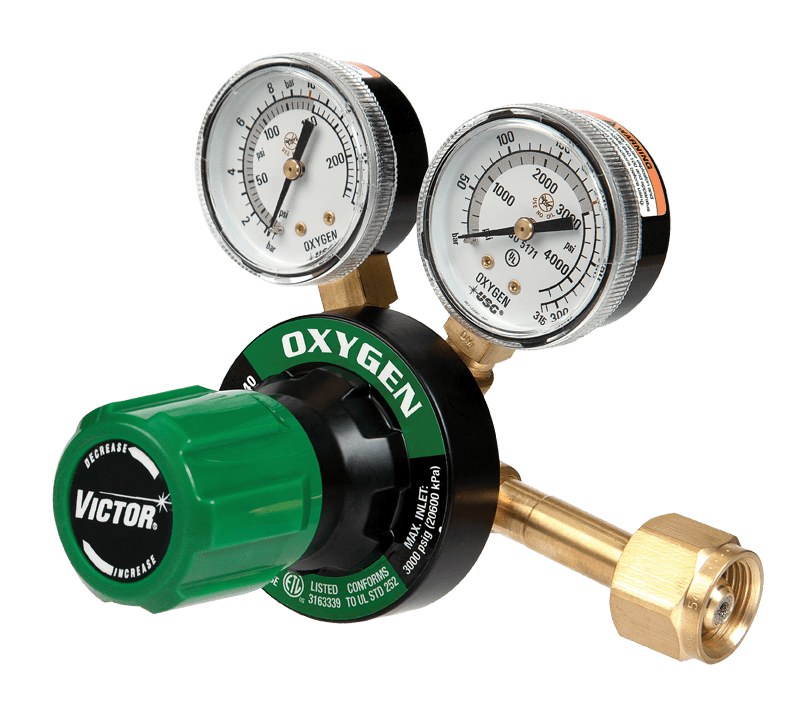 G Series regulators use a combination of colors on the gauge face to provide clarity for reading needle position, while a scale and red tick mark indicate actual service pressure of the regulator. The G Series also uses ergonomic color-coded knobs to indicate gas type and for better comfort when adjusting gas pressure. 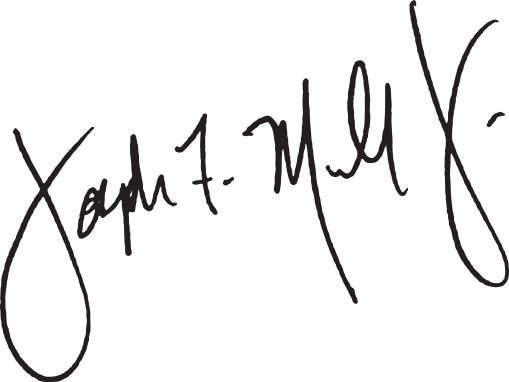 All these features are designed to improve safety during use. To find out more about the new Victor 400 Series torches, the G Series regulators and the full line of Victor oxy-fuel cutting products, CLICK HERE.